Akaike is one of the most inspiring figures in my life. Most of my friends don’t know about him. But I do, I do, I do as Anastacia said in her song ‘I do’. The criterion he proposed and he’s most known for was my first contact with theoretical research. One of the first papers I read was about the equivalency between the Akaike Information Criterion and the kullback-Leibler divergence. An old old paper, but a clear and well explained one, better than the poor and brief ones published nowadays. Reading an interview with Mr.Akaike, I could understand many things I didn’t come to when using manual books of information theory and statistics. That’s why, I think scientists shouldn’t restrict their reading to technical ones, shouldn’t focus on formulas and forget the why behind this formulas. Lol, don’t you say when you focus on the why, you’re actually doing philosophy? Actually, no. I don’t think so, as far as you’re not thinking vague ideas with no specified measures and .. and as far as you’re dealing –in your thoughts- with your objects, you’re not doing philosophy !! The most relevant exemple, is the PRINCIPLE OF THE MAXIMUM ENTROPY. It questions, as far as what it is formulated for, the subjectivity of the one standing there, observing facts say a phenomenon, in order to give some numbers I mean some probabilities about it. Science, according to this theorem, tries to be as objective as possible. So, when taking the probability measures from the many people standing there, Science choose the least subjective observationJ. Details, definition of subjective and objective through formulas isn’t the goal of this writing, I can discuss it with you if you prefer. But not here, here I’m sharing some of my thoughts with you. So, let’s continue, I think you’ve come, at least one time, watching TV, doing some mathematics, you’ve come to face the GAUSSIAN function, that one, the most used one when it comes to statistically modeling a phenomenon, I’m sure you asked yourself, why, for god’s sake?, we are using it everywhere, is she a GODESS? No, mathematicians should gone crazy with numbers… Not at all, according to the principle of the maximum entropy, and in a specific ‘space’, this function, I mean the GAUSSIAN function, is the most objective modeling of the phenomenon. It’s not nonsense, then. To give more explanation, when facing a phenomenon, and intending to model it statistically, ‘………..+technical blabla+……’, use the GAUSSIAN function, it’s the most representative and the perfect and objective observant ;). It’s hard de faire des vas et vient from formulas to words and vice versa. I hope it’s clear J . This was the beginning of my contact with the outside world. Before that time I was only interested in developing statistical techniques based on the demand within Japan, because unless you have a real problem close at hand, you cannot develop any good ideas. I appreciate it. The man inspires me, in different things, with different perspectives…. 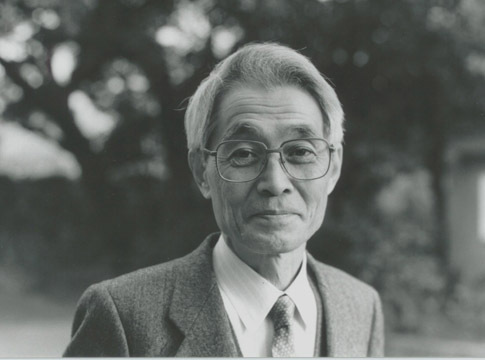 Yes Mr.Akaike: ‘unless you have a real problem close at hand, you cannot develop any good ideas’.